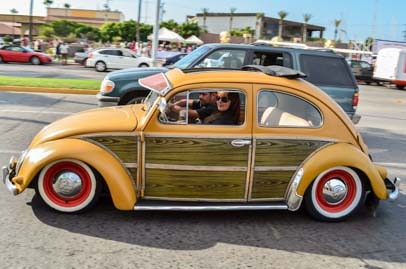 Ensenada - A Triumphant Homecoming for Groovy! Ensenada – A Triumphant Homecoming! 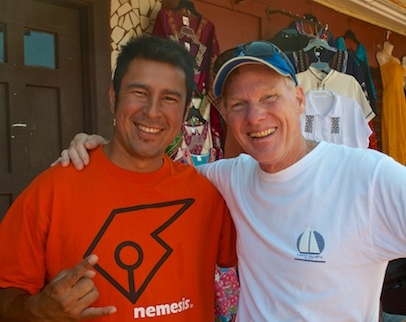 Late July, 2013 – We were overjoyed to have completed the Baja Bash. Fear and nail-biting moments aside, it had been as smooth a ride on that challenging coast as we could have hoped for — far less traumatic than many of the stories we had heard before we left — and it had been super fast, taking just 8+ days of nearly non-stop motoring to cover 1,000 miles. 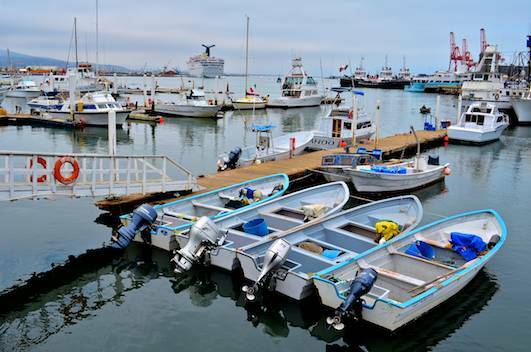 Cruiseport Village Marina in Ensenada — with a cruise ship in port! We walked around the docks and washed the boat with puffed out chests and smug grins. Neither of us had wanted to admit to the other just how frightened we had been of that voyage before we left, but now that it was over, a tumult of chaotic emotions washed over us as we acknowledged the fear and worry we had felt and the certainty we’d both had, at times, that we were facing certain doom. We had done it!! We had snuck past the worst obstacles on the coast with a smile and a wave, and we had outfoxed Mother Nature to slip unnoticed up the coast between hurricanes. But who could we brag to?? Old friends! Looking out over the boats from Ensenada’s Malecón. 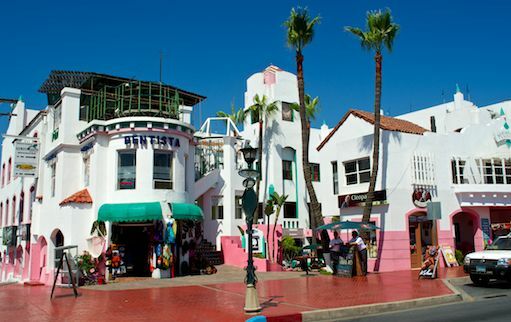 We had lived in Ensenada for six months as we outfitted our boat for cruising in the spring of 2010, and this fun city had become our home. Ever since we left, our mouths had been watering for Mexico’s best beef tacos which are served at a special restaurant in Ensenada. 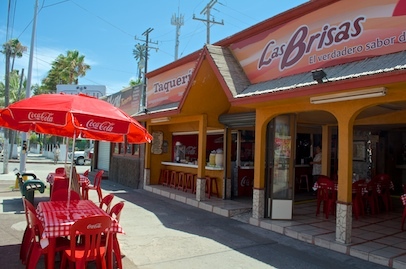 The best beef tacos in all of Mexico are at Las Brisas! Within hours of our arrival, we made a beeline for Las Brisas Taquería, two blocks south of the Cruiseport Village Marina entrance on the main drag. 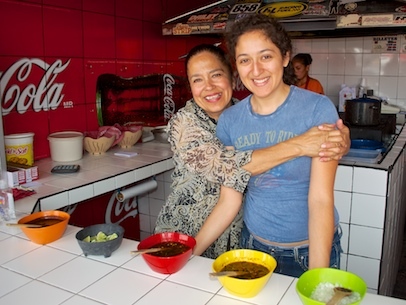 The owner, Norma, has lured patrons to her little restaurant with her divinely marinated grilled beef tacos for twenty years. As we plopped down on two stools in front of her, she recognized us immediately and gave us a warm welcome. In between savoring bites of her to-die-for tacos, we bent her ear with tales of all our travels: the Mayan ruins in Palenque, the colonial cathedrals of Oaxaca and Morelia, the colorful hillsides of Guanajuato, the underwater world of Huatulco, and of course the white knuckle ride up the coast to Ensenada. carne asada tacos for 20 years. She smiled and nodded enthusiastically and made us feel like long lost friends who had gone adventuring and come home to tell stories of the big wide world we’d found. Even though she had a restaurant full of customers, she took time for us and made us feel special for having braved the ocean and made it back alive. Sitting on our stools at her counter, we suddenly felt like we had come home. Cruise ships come twice a week. 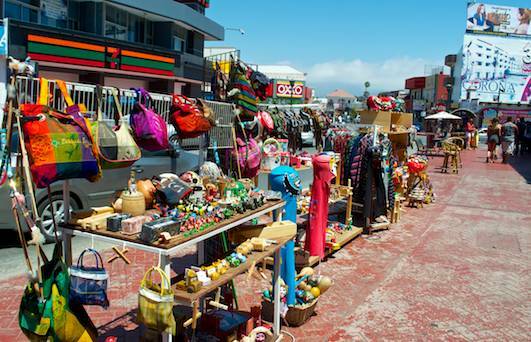 Ensenada is a lively city, and there is always something going on. Cruise ships come to town twice a week, bringing a boatload of tourists to the streets, and there are festivals, celebrations, gatherings and events of all kinds in the center of town all year long. on the main plaza in Ensenada. The main plaza is anchored by an enormous Mexican flag that towers over everything and is situated near three huge gold colored sculpted heads. As we took our first steps into town past these familiar landmarks, a new and strange emotion swept over. Everything here was exactly as we had left it — but we had changed in profound ways. 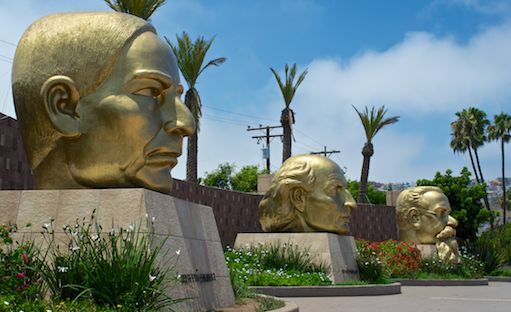 I remembered staring at those heads when we first got to Ensenada, three years prior, and wondering who in the world those people were. Now I recognized Benito Juarez and Miguel Hidalgo. Back in Guanajuato, we had walked through a centuries old mine shaft where enslaved indigenous people endured short, harsh lives wrestling silver out of the mountains to make their Spanish owners rich. What a searing glimpse we were given, in the cold depths of that mine, of the agony and anger that prompted Hidalgo’s “grito” (“scream”) for freedom and sparked Mexico’s fight for independence from Spain in 1810. The red brick sidewalks guide tourists past gift shops in town. However, more than just picking up a little Mexican history in our travels, we had grown in intangible ways ourselves too. 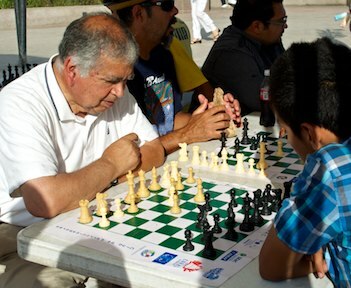 Ensenada was still the bustling city that it always had been, with a big town plaza that might be filled with performing clowns one day and a chess tournament the next. And the red brick sidewalks still gave hesitant tourists a clearly defined path through the gift shops and bars. 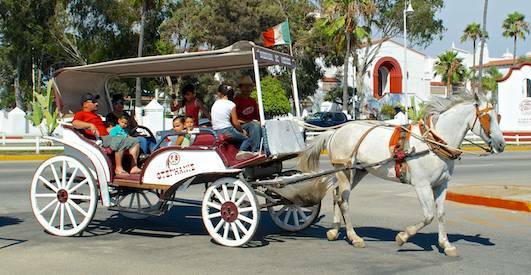 However, we kept remembering our first impressions when we had arrived in Ensenada. Is this Groovy boat really ours? Are we really going to cruise Mexico on a sailboat? We had been newly minted Mexico cruisers, not really aware that we were embarking on a life abroad as ex-pats. 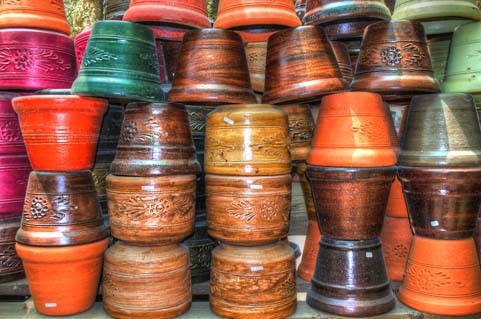 The pungent smells, vibrant colors, and hurly burly of exuberant vendors hailing us down on the streets were all overwhelming. We were shocked by the grubbiness and shocked to see Starbucks and McDonalds sitting proudly in the middle of it all. I tried to speak Spanish but could never find the words, and I got all fouled up in the grammar every time. It had seemed so easy in my Spanish classes back home, but my Spanish had failed me completely on the streets here. The chaos and action in the streets were overwhelming at first. And how I remember being humbled when an old, bent, toothless man had kindly told us in perfect and very polite English that we were driving our enormous truck the wrong way down a one-way street. We were bewildered and charmed by the steady stream of horse-drawn buggies and crazy train rides tourists could take around town. So this was Mexico, we had thought back then. Or was it? More seasoned cruisers told us this wasn’t really Mexico. It was too close to San Diego. It was a gringo town. But was that really true? Red brick sidewalks and vendor carts. It didn’t matter how close it was to San Diego. 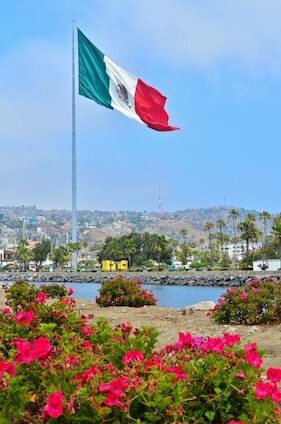 Ensenada was a fabulous Mexican city, like many of the others that had captured our hearts elsewhere, and it was as real and authentic as any. And now our conversations with locals dropped into comfortable Spanish at every opportunity we could find. Horses and buggies trot everywhere. I remembered standing at the parts counter at an outboard motor store those years ago, trying to explain that we wanted to buy a two-stroke six-horsepower Yamaha outboard. The man at the counter didn’t speak English. And I obviously didn’t speak Spanish, because our conversation went absolutely nowhere but was fringed with laughter and helpless arm waving and body language on both sides. As we wandered past his store now, I mumbled the conversation I might have with him today… How satisfying to realize I could get the job done in Spanish now. If you’d rather not take a buggy, try the tourist train! More subtle, though, were the changes within our own souls. We had arrived in Ensenada fresh off of two and half years of traipsing around the US in a fifth wheel trailer. We had been immersed in American landscapes and history and culture, living on public lands and perching on street corners, boondocking (dry camping without hookups to water and electricity) for free at every opportunity. Suddenly, with our arrival in Ensenada, we were sailors living on a big beautiful sailboat in a foreign land with a different culture and different language. Home to the Baja 500 and 1000 desert races, vehicle rallies of all kinds take place here. Neither of us had ever lived abroad. Neither of us had cruised for more than a few weeks at a stretch. 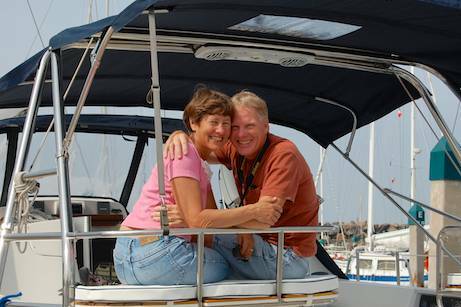 Only one of us (me) had ever lived on or owned a big sailboat, and that was in a marina in Boston while working. Not quite the same thing! The shock, thrill and awe we felt then permeated every moment of our lives. 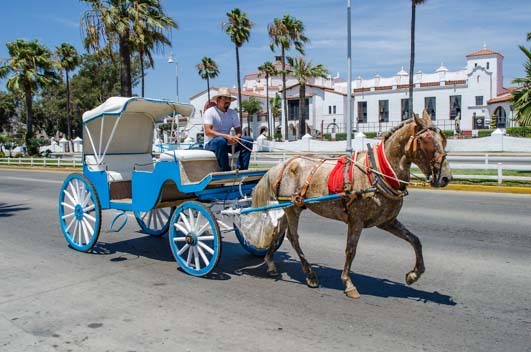 Walking around Ensenada always brought us repeated “Wow!” moments as we encountered the delightful but extraordinarily different patterns of day-to-day life in Mexico. However, the whole time we were there, our upcoming southern voyage loomed large and intimidating in front of us. Learning to navigate foreign waters, learning weather prediction, finding safe anchorage, and learning to live on the hook rather than at marinas all lay ahead of us. We had no idea how it would work out. Would we like it? What gear and supplies should we take with us from the US? How hard would it be to find things we needed down south, both for the boat and for ourselves? Would we end up in harm’s way, either on the high seas or on shore? There were a million things to be concerned about. Now, as we strolled the same streets and waved at the same people that had been here the whole time we were gone, our voyage was behind us. All those nerve-wracking questions were answered. 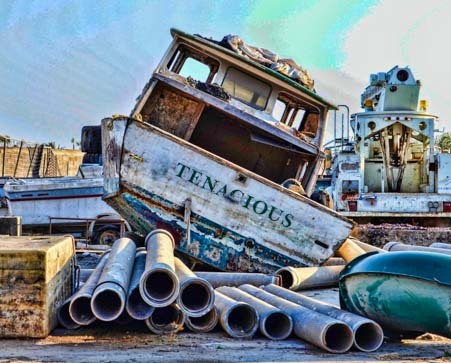 Sometimes in the boating life you need a little tenacity! We knew now that we could take our boat anywhere. If we had been inclined, we could have crossed the Pacific or continued along the coast to the Caribbean. We were confident in our sailing skills, confident in our boat, and confident in our people skills. We knew what the cruising life entailed and how we were happiest doing it. There were no worries at the fringes of our consciousness or unmentionable fears lurking on the edges of our days any more. Instead, there was a growing sense of accomplishment. Joachim chatted up a storm with us between cigar sales. We stopped to chat with our friend Joachim, who I quickly discovered was more widely read in English literature than I was. After he told me my name reminded him of Emily Bronte, we proceeded to discuss nineteenth century English literature for half an hour! A voracious reader as a boy, he found that cast-off English language paperbacks from tourists and ex-pats were far cheaper than new Spanish language books, so he learned English by reading with a Spanish-English dictionary in hand. His vocabulary was enormous. One great lesson we had learned on our voyage was the joy of talking to the locals, whether dock workers or timeshare salesmen or vendors on the street, and this cigar salesman on the streets of Ensenada was teaching us this lesson once again. 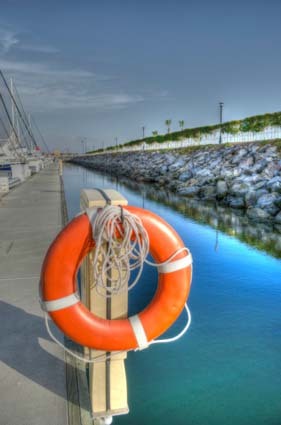 A life saving ring at Cruiseport. 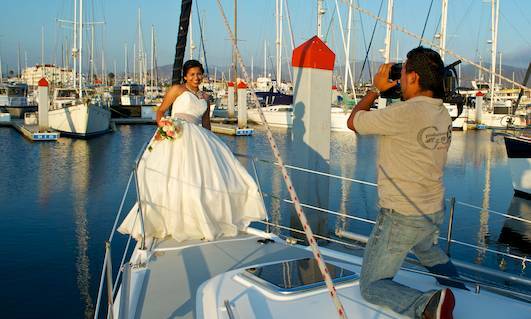 Back at our sailboat Groovy, we were given a priceless peek at one of the most special Mexican family traditions: the “Quinceañera” (keen-say-an-YAIR-ah) or girl’s 15th birthday party. A well-dressed man walking the docks asked if he could get some photos of his daughter on our boat, as she was celebrating her fifteenth birthday that evening. An entourage of teenagers, a professional photographer and a professional videographer proceeded to file onto the docks, and we unexpectedly became witnesses to this beautiful celebration that is a cross between a prom and a wedding. Groovy helps celebrate a Quinceañera. Ensenada’s citizenry is a fantastic mixture of Mexicans and Americans, and lots of folks from north of the border have homes here. 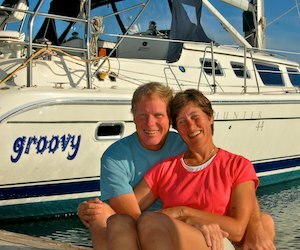 Our good friends Beth and Gary had arrived here in their sailboat Fun in the Sun prior to our first arrival in 2010. While we were sailing south, they had put down roots here on shore. 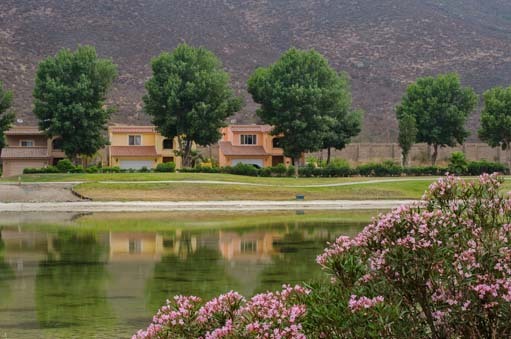 They graciously invited us to spend a few days off the boat at their home, enjoying Ensenada’s inland scenery. The resort RV park at Estero Beach. 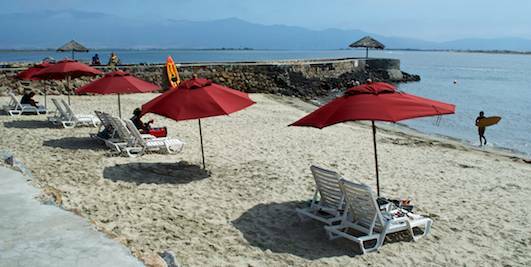 Hopping in their truck, we sped past Estero Beach which lies at the south end of Ensenada Bay, and then we drove past the upscale RV park that overlooks the estuary. Umbrellas lined up at Estero Beach. Our minds started turning, as we will soon be boatless and living in our trailer. Hmmm… this might be an option! 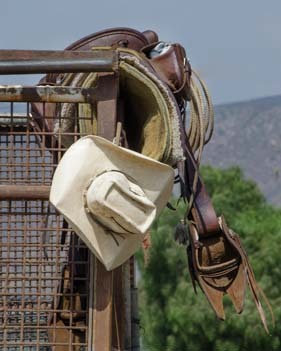 This part of Baja is ranching country, and a truck ahead of us on the highway was decked out with a cowboy hat and horse saddle. 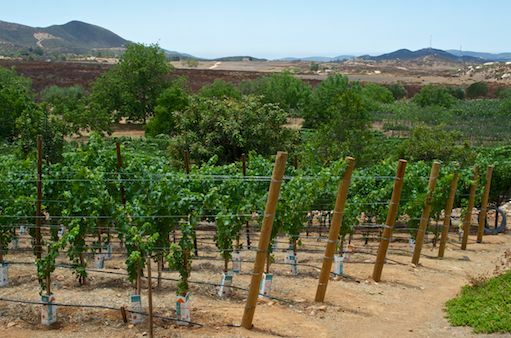 Baja’s ranching and wine country. So different than the tropical sights we had been seeing for the last 9 months!! It felt peculiar to be sitting in a truck and seeing the world fly by us out our windows. The rural and mountainous landscapes were beautiful and remote feeling. 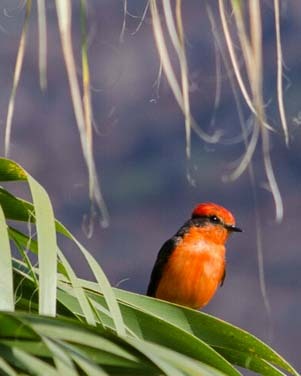 The next day, on a morning walk, Mark spotted a colorful vermillion flycatcher and some lovely flowers. Perhaps what was most special about these days at home with our friends, though, was our long heartfelt conversations about cruising. Cruising, for us, was both thrilling and extraordinarily hard work. Like so many cruisers, we had jumped into the lifestyle and lived it to its fullest, but also like so many, we found it proved to have its challenges. 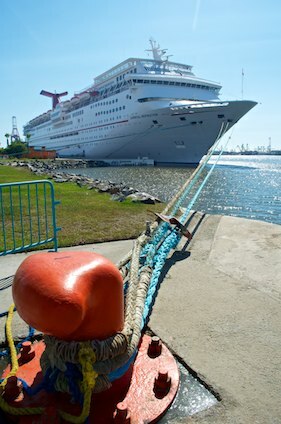 Many folks, like us, end their cruise somewhat sooner than expected. For some, all it takes to end their cruise is a few exhausting all-nighters at sea where all hell breaks loose and they are scared out of their wits. For others, cruising ends after a few bank account draining boat system failures where the meager savings account is assaulted by foreign import taxes, overseas shipping costs and local mechanics with great intentions but dubious skills. Grape vines at Tres Mujeres Vineyard. Our friends understood these things intimately, and we talked endlessly and long into the night. We will be forever grateful to them for sharing our intense emotions that were still so fresh and so vivid in our hearts and for making us feel truly triumphant during those days at their house. Many cruisers voyage much further than we did, crossing oceans, sailing between icebergs in high latitudes, surviving terrifying perils at sea, and mingling among exotic cultures on distant continents. Our sweet friends Beth and Gary made us feel like returning heroes. Our journey was modest by comparison. But we felt a gratifying sense of achievement, which was something we had never anticipated. Mark found pretty flowers on our walks. Our focus had always been on the going: getting to the next port, seeing what was there, and then seeing if we could find what lurked behind that!! We had never realized how rewarding we would find the coming home. There are few times in life when you can measure your personal growth and feel it as deeply as we did during our stay in Ensenada, the point where our voyage had begun and the point where it was now ending. The Freshman Cruisers we had once been seemed to be wandering the streets just ahead of us, shadows of ourselves but with such a sweet aura of naiveté about them. Now as seasoned, salty, Senior Cruisers, we felt like the big men on campus. We looked all over the place for someone handing out diplomas. But none were to be found! Ah well… We settled for patting each other on the back and reminiscing…a lot! is the pretty estates themselves. 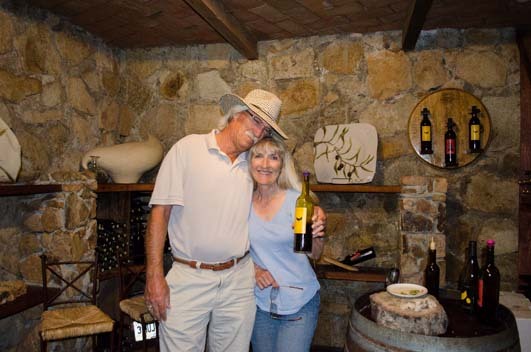 Ensenada’s Guadelupe Valley is the heart of Mexico’s wine country, and Beth and Gary took us to see two of their favorite boutique wineries. Tres Mujeres (Three Women) Vineyard has some beautiful views around their property and a lovely stone wine cellar for tastings. 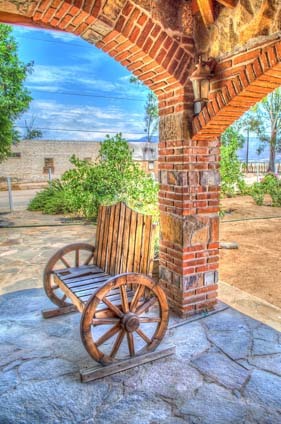 A bench made using old wooden wheels. We love these huge cactus flowers. 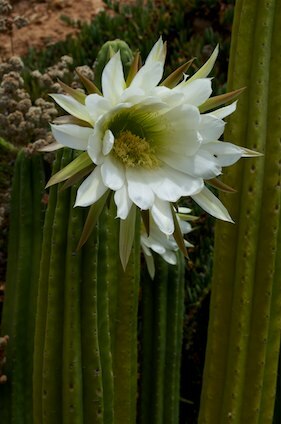 The cactus were in bloom and sported huge while flowers. JC Bravo is another small vineyard whose main building is adorned with beautiful brick arches and decorated with unique furniture made of wine casks and wooden wheels. What great photo ops these things made! 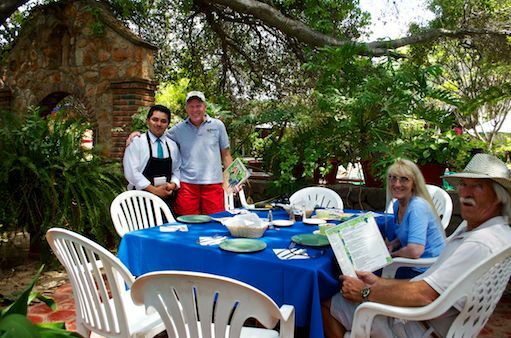 We ended the day at the charming outdoor restaurant La Hacienda. The tables at this pretty restaurant are all nestled into the embrace of several sweeping shade trees, and one part of this gorgeous property houses a flower and plant nursery. 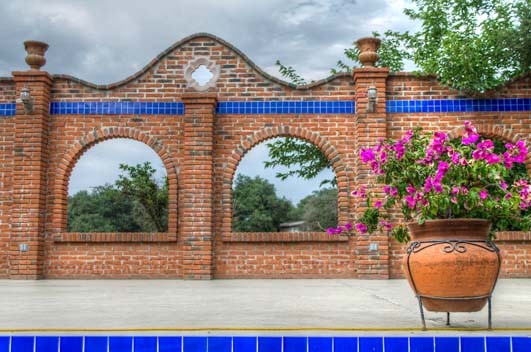 La Hacienda is a wonderful restaurant tucked into a flower nursery! 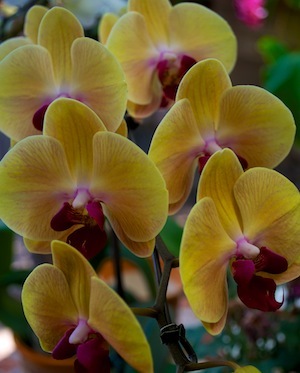 La Hacienda has beautiful orchids. Almost ready to take the family car for a spin. We were smitten by the beauty of their orchid collection, and we enjoyed a very leisurely lunch under the beautiful trees. 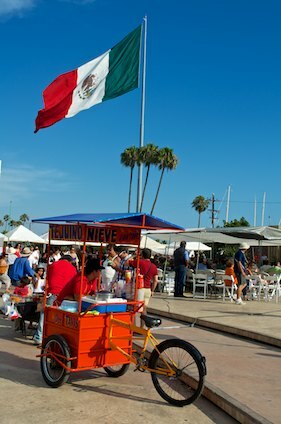 When we left our friends’ company to return to Ensenada, a big summer carnival was in full swing. There was no doubt that Ensenada was just as fun and exciting as we remembered. A big fair came to town, complete with a kiddie train ride on the Malecón. 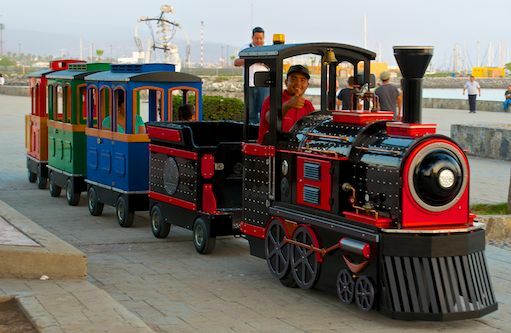 A cute little train for kids wove all along the Malecón (boardwalk) and circled around the plaza, shuttling excited kids all around. There were motorized rides of all kinds and dozens of ways for a kid to get tossed around and jostled about. 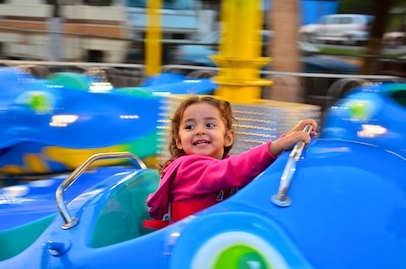 We watched the littlest kids driving around in circles and the bigger kids shrieking as the roller coasters climbed skyward and plunged around corners at breakneck speeds. This was just too fun a place to leave right away, and Groovy had an appointment at the Baja Naval boatyard, so we settled in to spend a few more weeks in Ensenada. 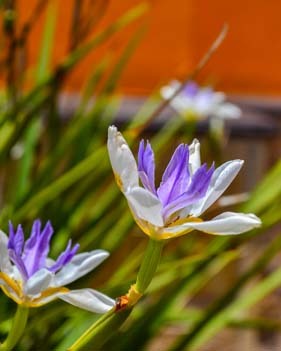 This entry was posted in The Pacific Coast of Baja and tagged Mexico, New, The Pacific Coast of Baja, Travel, WP Travel by Roads Less Traveled. Bookmark the permalink.